This page is under construction - consider return later. I like airplanes, sensors, electronics and programming. I know how to measure atmospheric pressure. The Small Satellite Platform is an educational tool which illustrates specifics of sensors and data processing algorithms related to navigation to students. The Full Flight Simulator is intended to test technology developed for flight guidance such as EFIS, its data update algoritms and tracking. Avionics is composed from multiple systems processing data from sensors. Together with my studnets, we create methods of measurements and evaluate the results in experiments such as: ESMO, UAVs, team Predator, etc. The CAST is represented by a group of students and cooperating parties. We are participating on projects related to sensors, systems and simulation technology. Assoc. prof. Pavel Paces, Ph.D. (1978, male) lives and works in Prague, the Czech Republic, Europe. 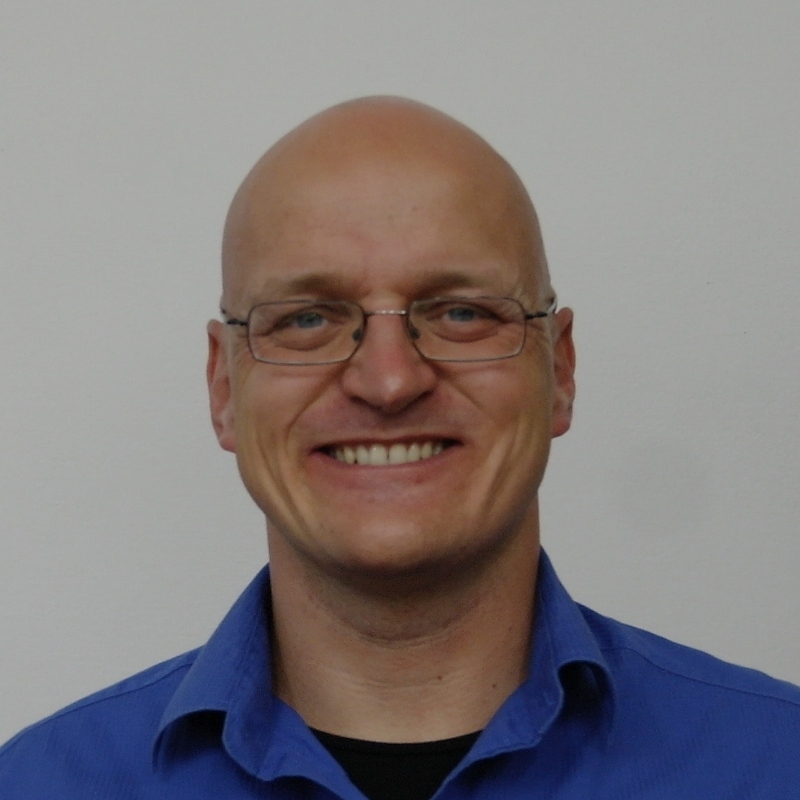 He is the head of Center for Advanced Simulation and Technologies associated to Department of Measurement, Faculty of Electrical Engineering, Czech Technical University in Prague. He received his MSc. (2005) and Ph.D. (2010) degree in Aerospace Engineering from Czech Technical University in Prague. In 2014 he defended habilitation thesis and become associate professor. During his career, he earned Honeywell Innovator award and owns two national patents related to new system for airplanes position angles measurement. Pavel was a National Point of Contact for Space Generation Advisory Council in support of United Nation Programme on Space Applications and he gained international experience by multiple internships around the world including NASA Ames Research Center, USA, California. He led multiple projects including a project developing sensor system for spacecraft stabilization with ESA, improving characteristics of sensor calibration test bench for Continental, developing a simulation platform for human machine interface testing with AFRL, etc. Dr. Paces is active member of AIAA Digital Avionics Technical Committee (DATC) and regularly organizes the Digital Avionic Systems Conference (in 2015 it was in Prague - the first time the conference was held outside of USA). My students. - bachelor and diploma works, summer and winter projects, czech and foreign students. My projects - the topics for which I was lucky to find funding (and some are just done for free). My projects for students - the topics where I am looking for student participation. My publications - articles which are includend in Google scholar. My interests - what I do for relaxation. 2016: British Interplanetary Society Award for Best Technical Paper. International Astronautical Congress, Mexico. For my students: Jan Lukacevic, Pavel Paces, Zuzana Tumova, Ondrej Trojan, Michal Gabriele, Milos Hampl. 2012: Best of Session at DASC conference presented to Jan Popelka, Jan Auersval and Pavel Paces. 2009: Mr. Jiri Mlejnek, Pavel Paces's student, got " IT diploma work of the year 2009" award which was connected with 5000 USD cash for the student and 1000 USD for the mentor. My awards and awards of my students - see the sheet "Awards". List of accomplishments - see the sheet "Accomplishments". Safe and Safety Elements in Aerospace and Space Technology II, Internal grant, 2015-2017, 161 - 1611555C000, (leader). Inovace předmětu A3M38PRS Palubní informační a řídicí systémy (Kybernetika a robotika) a podpora studentského projektu v programu BEXUS Evropské Kosmické Agentury, Internal grant, 2016, 13138/105/1051603C014/1NP, (leader). Safe and Safety Elements in Aerospace and Space Technology, Internal grant, 2012-2014, 161 - 1611293C000, (leader). European Student Moon Orbiter - Attitude Integration Module, European Space Agency (ESA) and Surrey Satellite Technology Limited (SSTL), 2011-2014,TA 86 110701-ZPX, (leader). Inovace laboratorní výuky - letecký simulátor jako prvek kolaborativního prostredí, projekt FRVŠ, A a, 2012, 1741/2012, (author of the proposal, sub-leader). Inovace predmetu Palubní informacní a rídicí systémy, FRVŠ, 2011, F1 a, 922/2011, 33/110047/13138, (leader). Inovace vybavení laboratorí leteckých systému, projekt FRVŠ, A a, 2011, 1050/2011, (author of the proposal, sub-leader). Safety Improvement of Flight, Crew and Other Participants of Flight Transport in Normal and Emergency Situations by Assistive Technologies, Technological Agency of the CR, 2010-2013, TA01030651, (leader). July 12 – 20, 2011: Beijing University of Aeronautics and Astronautics: China: International Graduate Summer School in Aeronautics and Astronautics. 02/2005 – 03/2011: Czech Technical University in Prague: Czech Republic: Faculty of Electrical Engineering, Department of Measurement. Degree: Ph.D, program: Air Traffic Control and Services, topic: Improvement of Flight Safety of Small Aircrafts by the Avionic System Support. Finished with 2 patents and H-Index 3 (Google Scholar).State Doctoral Examination – summer 2007, passed with mark: “excellent”. 06/19 – 10/08/2009: Space Studies Program, International Space University: Silicon Valley – USA: NASA Ames Research Center, Mountain View, California, Followed by hands-on project: Development of a Small Satellite Test Bed. 06-09/2010: Honeywell International: Brno – Czech Republic: Inertial Navigation System integration, Honeywell Innovator Award, short Internship. 02/2005 – 2016: Czech Technical University in Prague: Czech Republic: Habilitation (2011) - Faculty of Electrical Engineering, Department of Measurement. Teacher/Assistant (Airborne Instrumentation group). 02/2005 – 12/2008: DevCom Ltd.: Czech Republic: Programmer/developer, C/C++ for Avionic Systems, Certification, half-time job. 11/2007 – 04/2008: LOM Praha, VTÚLaPVO:	Czech Republic: HW and SW development, Servo for Mamok Manta project, part-time job. 05/2007 – 08/2007: MESIT Instruments Ltd.: Czech Republic: Consultant, case study/report: Engine Maintenance Module. Project CESAR. 08/2006 – 01/2007: IST DEEC, Lab. Medidas Electricas: Portugal: Developer working on the project: Development of an IEEE 1451 Standard Compliant Smart Transducer Network with Time Synchronization Protocol. 03/2005 – 06/2005: CTU, Faculty of Biomedical Engineering: Kladno – Czech Republic: Teacher in Sensors In Medicine, also participating on an exercise book for this course. 1999 – 2005: Czech Technical University in Prague: Czech Republic: Faculty of Electrical Engineering, Department of Measurement. Degree: Ing. (MSc), program: Cybernetics and Measurements, Airborne Instrumentation. Diploma thesis topic: Engine Indications and Crew Alerting System for Ultra-Light Aircrafts. 1993 – 1998: Electro-technical training college: Czech Republic: Vocational certificate, school-leaving certificate. ... return to the top. This section illustrates samples of my work in videos. More videos, more illustrations and their mutual linkage is depicted here. |> Education, Electronics, Software, Sensors, Calibration, Flight Guidance - another info here. The SSP is an educational tool which illustrates specifics of sensors and data processing algorithms to students using spacecraft stabilisation technology. It uses a complete sensory system (AHRS) data available over a wireless interface (WiFi) from Matlab environment. The students are required to acquire the data and process them. It means to get rid of noise and and evaluate orientation of the SSP. Then they are required to close a control loop and through the reaction wheels to stabilise the SSP in predefined direction. |> Electronics, Software, Sensors, Calibration, Flight Guidance - another info here. The Pressure Reference System is supposed to improve long-term precission of low-cost MEMS sensory systems. Up to now we tried the system on a UAV, then Cessna 172, and ESA BEXUS Experiment (our team name was Predator). |> Training, Flight Guidance, Electronics, Software - another info here. The FFS is intended to test technology developed for flight guidance such as EFIS, its data update algoritms and tracking. |> Flight Guidance, Route Planning, Electronics, Software - another info here. Electronic Flight Insturment System is a display capable to show flight data and engine parameters with overall status of the airplane. The EFIS encapsulates a system including sources of information and computing modules. At CTU in Prague we are aiming at: situation awareness, methods to solve emergency situations, automatic evaluation of landing strips availability, etc. Tracking gaines importance with wide spread of UAVs. We are cooperating on a tracking concept with upVision company on their Maia project. |> Space, Electronics, Pressure, Software. The project tests a hypothesis for an airplane position angles measurement by precise pressure sensors. Students working on the project spent three years in preparations of the experiment description according to the standards acknowledged by European Space Agency within the BEXUS campaign. Finally, the experiment was launched to stratosphere at ESA ESRANGE, Sweden. My students received „British Interplanetary Society Award of the student competition for best technical paper“ at International Astronautical Congress, Mexico, 2016. |> Space, Electronics, Software - another info here. European Space Moon Orbiter (ESMO, 2011-2014) is a project of European Space Agency project (AO6031) to support engineering education in space sciences – to increase number of experts on space technologies. The aim of the project is to design the first student mission to the Moon with a framework of cooperation of: ESA, Surrey Space Technologies Limited (SSTL England, part of EADS Astrium) and universities.